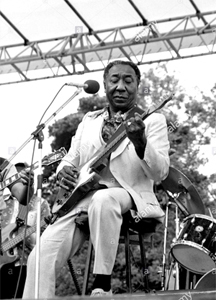 McKinley Morganfield (1915 1983), aka "Muddy Waters," grew up and worked as a sharecropper on the Stovall Plantation on the outskirts of Clarksdale, Mississippi. He learned to play guitar and harmonica as a child and was influenced by the styles of Robert Johnson, Charley Patton and Son House. His grandmother nicknamed him "Muddy" because he loved playing in the muddy waters of the nearby creek. He bought his first acoustic guitar, a Stella, when he was 17 and began playing in local juke joints in the Delta. 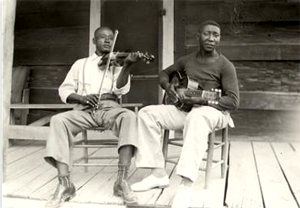 In 1941 Alan Lomax made the first recording of him in his house at Stovall. 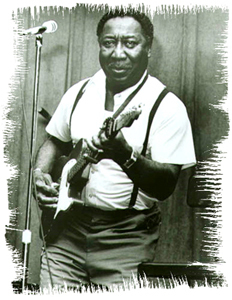 When Muddy heard himself, he realized he could make it as a professional bluesman. He was well received on a tour to England and became an international star. His appearance was at the Newport Jazz Festival in 1960 enlarged his fan base. His electric blues sound melded well with the current rock scene. 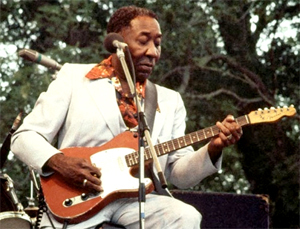 Muddy Waters earned six Grammys as well as countless other honors. He died after suffering a heart attack on April 30, 1983, in Downers Grove, Illinois. 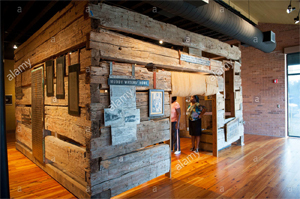 The remains of the cabin where Muddy Waters lived during his days as a sharecropper and tractor driver on Stovall Farms are displayed in the gallery at the Delta Blues Museum. 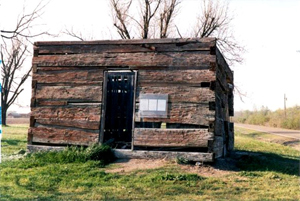 Musicologist Alan Lomax recorded Muddy on the front porch of this shack for the Library of Congress in 1941. 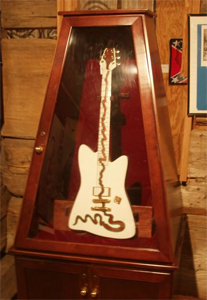 Billy Gibbons of ZZ Top fame picked up some loose boards from Muddy Waters’ shack at the Stovall Plantation and had a guitar made, which he named "Muddywood" and played in concerts before donating it to the museum.